Packaging is more than product protection and security. Producing a package is expensive. It is an investment in the success of the product. User convenience, safety, legal requirements, environmental and usability factors must be considered during the design process. Skipping any of these can cost sales or cause problems later. All packaging has to keep the product safe from theft and damage. Some products need to be protected from environmental damage. Some products need to be protected from misuse. Child safety caps were created to fulfill that need. Are there special safety factors you need to accommadate? User convenience is a design factor for some products. Liquid laundry detergents have measuring caps. There have been many innovations for food packaging in the last several years. Some deliver convenience and safety in the one innovative design. Stand-up pouches reduce space and offer longer shelf life because of recloseable zipper feature. Single drink packets, easy open and microwaveable bags and bowls all were created to provide convenience. For a short-term they provided a competitive advantage. The innovative advantage is short-term because once it hits the shelf the competitors move quickly to copy the new feature. If it is patent protected it increases the cost to the competitor because they have to invest in design to provide the feature without infringing on the patent. The environmental aspect has become a bigger factor in the last decade. Walmart's demand to reduce packaging size and parts is one side of the environmental impact. Consumers increased demand for organic and environmentally friendly products accounts for another. Materials used in packaging are used for their ability to hold the product and protect it. 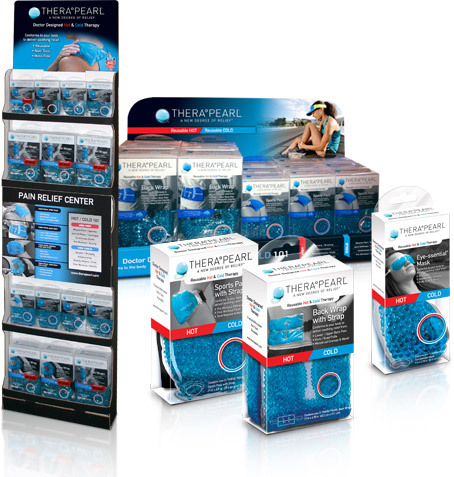 Clear poly bags and clamshells are chosen for their marketing advantage and cost factor. Budget and branding considerations come to play in choosing package material. Retail packaging costs are covered in more detail in "Calculating the cost of product packaging". In addition to primary packaging that holds the product there is secondary packaging for shipping and display. Each version has to be designed for ease of shipping, storage and, in some instances, store display. Distribution requires shipping solutions including master cartons, tower displays and pallets. Last but not least are the marketing and branding aspects for choosing package material. It is troubling when the dominating factor is budget. Budget should be primary factor for package design only when the product has a low retail price point and the USP is price. You have a great product, tell its story with great photography. Cutting corners can be a financial mistake when it comes to marketing your product. Want to read more? Check this out. What Makes A Winning Package?